The Wayne County Community College District Veterans Affairs Office proudly serves our Veteran Students, their spouses and dependents. 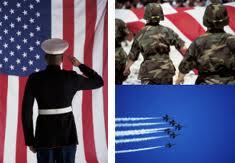 Our doors are open daily to assist with completing forms, certification, registration, resources and veteran benefits. Our office is designed to give students the tools necessary for a successful college experience.